Thank you Kazza and Cindi for including me in your blog-versary! It’s always such a joy to me to see a review of one of my books here. I wish you many more wonderful years. 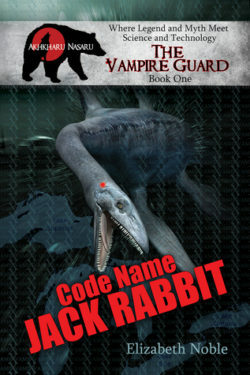 Kazza ‘hinted’ that I might do a write up on my newest series, The Vampire Guard. So, her wish is completed and here it is! 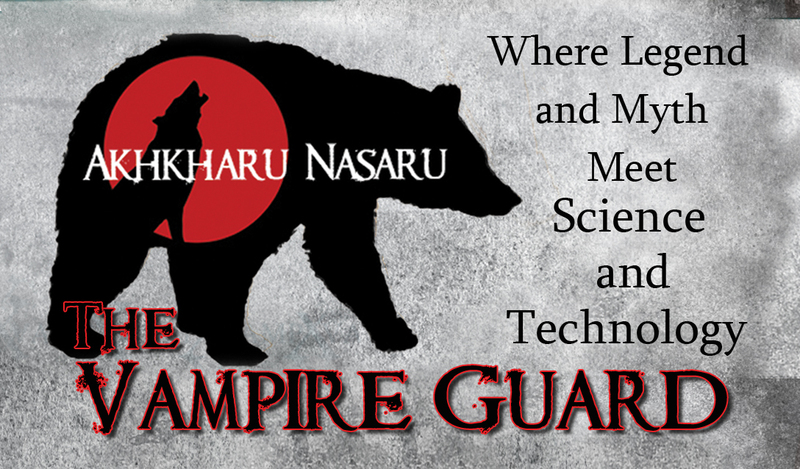 The Vampire Guard is part of a secret intelligence agency called the Akhkharu Nasaru, an ancient society independent of any nation. It’s a worldwide organization and The Vampire Guard is the intelligence gathering/protective division. Each operative team is comprised of four members, two sets of soul bonded couples. In this world, vampires can become bonded to a soul mate. The bond is for life and creates exclusivity for each couple. There are a few exceptions, but each of the couple is able to sense the other’s feelings and emotions and sometimes almost know each other’s thoughts. This ability varies from individual to individual. Vampires can soul bond with other vampires, humans or werewolves and each sort of bonding provides different attributes. The couples and teams are more than the sum of their parts. A huge asset is that vampires and werewolves have much longer lifespans than humans and often see patterns of criminal activity that are decades or centuries long. To remain secret, they employ the hiding in plain sight method of stealth. The paranormal part of the population lives and works among the human world, have human friends and lovers. There are humans who know about vampires and werewolves, others do not. The three species live in a symbiotic sort of relationship dating back to prehistoric times. One requirement to joining the Vampire Guard is at least one of each pair has some experience or ties to the military, law enforcement or intelligence agency, it’s part of their hiding in plain sight. Werewolves are stronger with a superior sense of smell to vampires or humans. Their average lifespan is 250 years. They can morph completely into their werewolf form or partially, depending on what the situation calls for. All werewolves have a forced change during the full moon. At that time, they become vicious and unpredictable and lock themselves away. They along with vampires have superior eyesight to humans. Wolfsbane can kill them as well as silver. Vampires are faster with far superior hearing to humans or werewolves. They are able to attain short bursts of speed that can’t be followed by human or werewolf vision. Silver hurts and can kill them if it gets into their bloodstream. Under normal conditions they can’t be seen in mirrors or on camera. A spike in adrenaline and certain technology can circumvent this if needed. Cats can see a vampire’s reflection. Natural lifespan is unknown and there are vampires of a variety of ages in the series. As powerful and incredible as they seem, neither species is invincible nor is technically immortal since they can be killed. It’s simply more difficult. Both species have the ability to heal very quickly, but not immediately and if the injury outpaces the body’s ability to heal they will die. Chopping off a head, splitting a skull or lighting one on fire will kill them as well. Of course with vampires there is the old standby of a wooden stake to the heart. Some individuals do suffer diseases, however, because they heal so fast most ailments tend to be beaten down before becoming an issue. They’re more apt to have conditions such as allergies and as werewolves age they suffer from maladies such as organ failure and arthritis. The series is a spinoff of The Sleepless City series, but I’m going it solo this time and am the only author of The Vampire Guard. Introduces the central team of the series, Operative Team Jack Rabbit, as well as a number of other series regulars. There is a bit of general evolution and history on werewolves and vampires and information on the werewolf pack system. Operative Team Jack Rabbit team consists of Jonas Forge, Blair Turner, Lucas Coate and Declan. They are recruited by, and work with, a team called Armored Train to stop a string of assassinations. In book two there is more personal history of the Jack Rabbit team members, how they met and why they work together. They are working on a case that is a ghost in the machine sort of scenario. They discover that the sociopathic vampire they’re chasing has come into their lives in the past in a variety of ways. He must be stopped! Jack Rabbit is joined by another operative team called Northern Lights. The whole plot is very high tech espionage sort of stuff. Oh, and we get to meet Moose when he’s a wee little ball of fur puppy! Varian snarled and stabbed at his phone’s screen for a minute before he shoved it into his pocket. Forge snorted and Blair cleared his throat. “But you didn’t even know my name.” Varian seemed very interested in this piece of news. “She thinks we are. She hired me to make some… adjustments to the alarms here,” Blair said. Blair pulled out his phone. “Connect to the hotel private Wi-Fi, issue a few command prompts, and….” Blair looked up and grinned when the lights in the room dimmed, then brightened, then flickered. “I’ll call you when I have it.” Blair finished his drink and stood up. “You’ll need my—” Varian stopped abruptly when Blair turned his phone around and showed him the screen. Smirking, Blair tapped the top of the bar then walked away. Book three and I’m hopping on the zombie train! This book features two men who, up until now, have been supporting characters, Kai Richter and Ori Bier. There is a secret deep sea research lab and a nasty virus on the loose causing all sorts of bad things to happen. It’s under the ocean so it is contained for now. The Vampire Guard goes in to save the survivors and figure out how to squelch this thing that infects all three species. Ori swiveled around and watched the bend and bridge that were coming up fast. One glance between them and they took a running start, rushed over the top of two more cars where the land sloped away from the tracks. “Here,” Ori barely breathed out the word before they were airborne. They crashed through trees and underbrush before hitting the ground and rolling to the bottom of a ravine. Ori felt the bottles he’d stolen and hidden in his shirt shatter. Just as he stood up and shook the glass shards out he was knocked off his feet by Kai tackling him. They rolled even farther into the ravine. The train’s engine jumped the tracks, the cars dropped off and tumbled down the hillside chasing Ori and Kai. Flames shot from the engine as it barreled into the mountainside and blew apart. Trees and grass burst into flames only to be snuffed out by the boxcars careening down the hill. “Run!” Kai yanked on Ori’s arm, not that Ori needed much encouragement. They raced down the ravine ahead of the cars gouging up dirt and trees in their paths. Finally, they reached a point they could vault to higher ground. Ori stopped to watch the spectacle. The detached boxcars carrying the prisoners were no longer in sight, but they could hear the people moving away. Ori said a silent prayer all the freed prisoners lived long, peaceful lives. One final explosion from the locomotive caused them to duck away. Ori stumbled backward, caught his foot on a branch and landed on his rear. Kai smiled at him, reached down and hauled Ori to his feet. Before Ori could think or react Kai pulled him into a long, deep kiss. His fingers stroked through Ori’s hair and Ori wrapped one arm around Kai’s back. When another explosion cracked through the air they broke their kiss and turned to watch. “Not bad for almost no planning,” Ori said. First the give away. 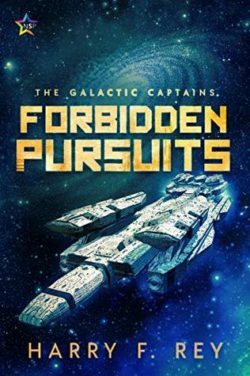 I’m offering one eBook off my backlist of the winner’s choice. This offer excludes the books published in 2016 and the complete list can be found on my website. http://www.elizabeth-noble.com/ The contest will remain open until Midnight (US EST)October 16. THIS GIVEAWAY IS NOW OVER. CONGRATULATIONS TO DEB B. The weekend of November 18 On Dreamspinner Press site only Electric Candle (The Sleepless City book #2 http://bit.ly/2d1krbb), Run for the Roses and Gone Away (Circles books #1 and #4 http://bit.ly/1WI8Phd) will be priced at 99c for the Weekend Reads Sales. Thank you to Elizabeth Noble for stopping by to help us celebrate our 4th anniversary and for the great giveaway! I’m all about vamps and werewolves so I can tell I’d be all over this series. It’s great to have Elizabeth Noble be part of our 4th blog anniversary with her Vampire Guard men. Thank you for including me in your blog-versary. I was so honored and delighted to be asked. I remember that visual you used for the first book. It’s a very nice visual that can’t be seen too many times! I stop by this blog often, it’s one of my favorites, so again thank you having me here this month. Thank you for the post and excerpt as well as the look ahead for your books. Thank you also for the heads up on upcoming weekend sale and the giveaway! This one sounds really cool and just my kind of read. Thanks for the write-up on your newest series. It sounds really interesting. Such an inspiring post with good detail for any reader to know what this series and writer will be like. I haven’t read Elizabeth Noble but I’ll put her on my writer look out. I enjoy vampires and werewolves with humans. That’s a scrumptious picture too! Thank you all! I promised to give an eBook away! I put all the names into a cup and pulled out Deb B! Please email me at elizabeth.noble19@gmail.com with your choice of ebook (anything published in 2015 or sooner) and let me know the format you’d prefer. Thank you to everyone who commented and popped by. Thanks also to Elizabeth Noble for this great post, and congratulations to Deb B the winner of a backlist e-book. Oh who am I kidding, of course I have to start with the original. I both character obsessive and reading-series-in-order obsessive lol. Really it’s just that I need to find the time to fit in all these books since now that’s 4 extra books on my TBR if I end up liking them.